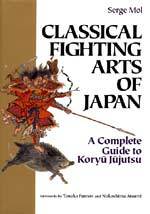 Translations and reprints of rare and classical martial arts texts of famous masters. Each is a historical gem, beautifully reproduced in hardcover. A must for karate and martial arts researchers, collectors and those interested in the roots of their arts. The rare book on Goju Ryu Karate, with hundreds of photos and line drawings, has never before been in print in English. Written by Chojun Miyagi’s son it was originally published over 40 years ago in Japanese. It details Goju Ryu’s original teachings and continues where his father left off. Included are basics, history, kata, Bunkai and lots more. 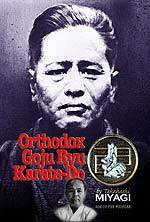 Even if you have been studying Goju Ryu for many years you should learn a lot from this master text. This is a special Collector’s Edition book with laminated dust jacket and certificate of authenticity. Only 1000 copies of this edition will be produced. This is an historical masterpiece – the first English language guide and historical outline of traditional jujutsu and its close-quarter fighting methods used on the battlefield as well as in daily life. The classical martial arts practiced in pre-modern era schools (rhyuha, or traditions) were deeply interwoven. For this reason this text is invaluable not only to practitioners of modern and traditional jujutsu, but also of interest to enthusiasts of modern budo such as judo, aikido, kendo and iaido. The author not only details individual jujutsu traditions and history, including photos and illustrations where possible, but he also explores the historical and cultural factors that helped shape them. This beautifully crafted book (gilt edged pages, and boxed) presents Richard Biggie Kim as thousands knew him. 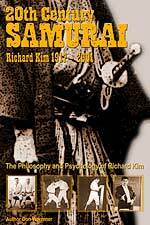 It includes Kim’s assessments of Japanese karate and martial arts history, philosophy and psychology. His personal history is also revealed - Richard Kim's Hawaii days, his years as a P.O.W. in Shanghai, his escape from Shanghai and his involvement with some of the great master’s of the day including Yoshida Kotaro, Takeda, Yamaguichi, Oyama, Ueshiba, Nishiyama and so many more. Also included are many of his martial arts essays. 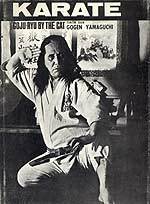 The book, written and compiled by Don Warrener is an informal testament to the man, his life and legacy, someone who influenced generations of modern martial artists through his columns in leading martial arts magazines, his books,(such as The Classical Man, The Weaponless Warrior and Kobudo 1,2,3 & 4) and his organization, the Zen Bu Toku Kai with an extensive membership in the US, Canada and Europe. This book is an absolute must for all students of karate and includes over 1200 line drawings of kata, bunkai, and kumite. These limited editions will be collectors items of the future. A very special book presented in a very special way written by a very special person. Featured in over 6 major magazines as the book of the year in martial arts don't be disappointed order yours today. This book is no longer boxed. 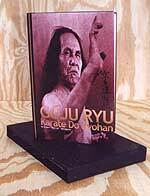 This book was written by the founder of Japanese Goju Ryu Karate, 196 pages. This book is extremely hard to find and is in very limited supply. It includes exact drawings from the original Bubishi and as well rare photos of Yoga which Master Yamaguichi was heavily involved in. A true treasure for those who study the art of Goju Ryu Karate Do. Get it now while it is available. This book is a must for those who are true collectors or students of Kempo. Motobu is well recog nized as a key figure in Okinawan karate and considered by many to be one of Okinawa's toughest masters of the art. Filled with many of the self defence techniques he taught each of the drawings have been retouched by a famous award winning Chinese artist.